The University of Houston has been awarded $2.8 million from the National Science Foundation to prepare more teachers to lead the way in science, technology, engineering and math education (STEM). The grant bolsters the institution's effort to ensure students of all backgrounds have access to high-quality STEM instruction while helping to meet the large demand for qualified secondary STEM teachers. The program, Enhancing STEM Teacher Leadership Through Equity and Advocacy Development in Houston (LEAD Houston), has the potential to impact over 150,000 students in the greater Houston area and beyond. "I think this collaborative partnership further solidifies UH's commitment to our community," said Paula Myrick Short, UH senior vice president for academic affairs and provost. "We are truly invested in the success of our students beyond their time at the University of Houston, and this grant helps students gain real-world experience while also positively impacting our community." LEAD Houston is a collaboration between the UH College of Natural Sciences and Mathematics and the UH College of Education. The two colleges also partner on the teachHouston program, which prepares secondary math and science teachers. Professional development experiences that include culturally responsive teaching, instructional coaching and policy advocacy. 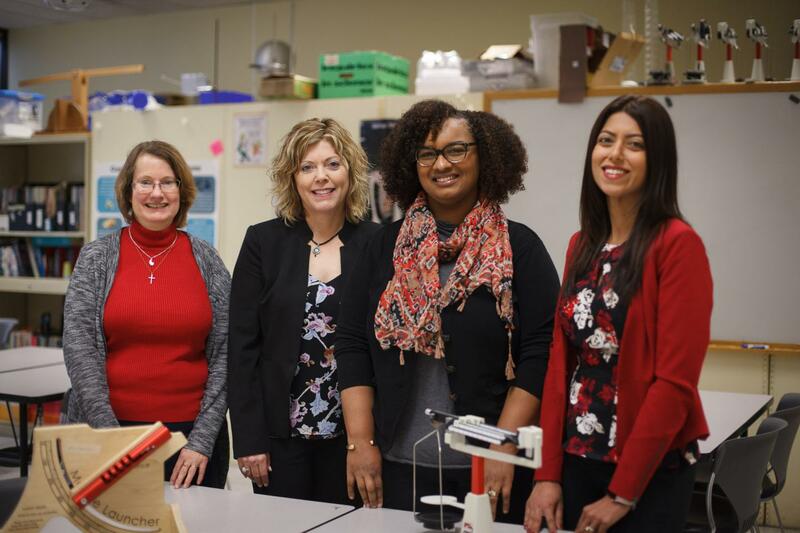 "We look forward to building from the expertise of secondary STEM teachers in Houston and the surrounding areas and supporting teachers in becoming agents of change on their campuses," said Jennifer Chauvot, chair of the Department of Curriculum and Instruction and co-principal investigator for the grant. "Our goal is to provide access to rigorous science and mathematics content to all children." The colleges will work with high-need school districts in Greater Houston and the National Math and Science Initiative, a Texas-based nonprofit, to recruit and prepare two cohorts of 15 secondary STEM teachers to take part in LEAD Houston. "We have the opportunity to cultivate teacher-leaders and empower them to advocate for policies that yield STEM education reform. Ideal candidates are passionate about their craft, embody a growth mindset and have the desire to impact change in their own classrooms and the classrooms of other in-service and preservice teachers," said Mariam Manuel, an instructional assistant professor in teachHOUSTON and co-principal investigator for the grant. The curriculum for the program will focus on best practices for eliminating disparities that exist in STEM education. "One way to help address this is culturally responsive teaching, which recognizes that culture has an impact on how students learn," said Leah McAlister-Shields, teachHOUSTON academic program manager and senior personnel for the grant. "The types of images you use in your classroom, the types of books that you reference, all of these are important for normalizing a student's experience through use of their own cultural references." Teachers interested in the LEAD Houston program can click here for more information.